At the top of the will, ”In The Name of God” is written in "Naskh" caligraphy script in golden background. The will is began with the respect for all the Safavid Kings and consists of many verses of Quran written in the background of the will. 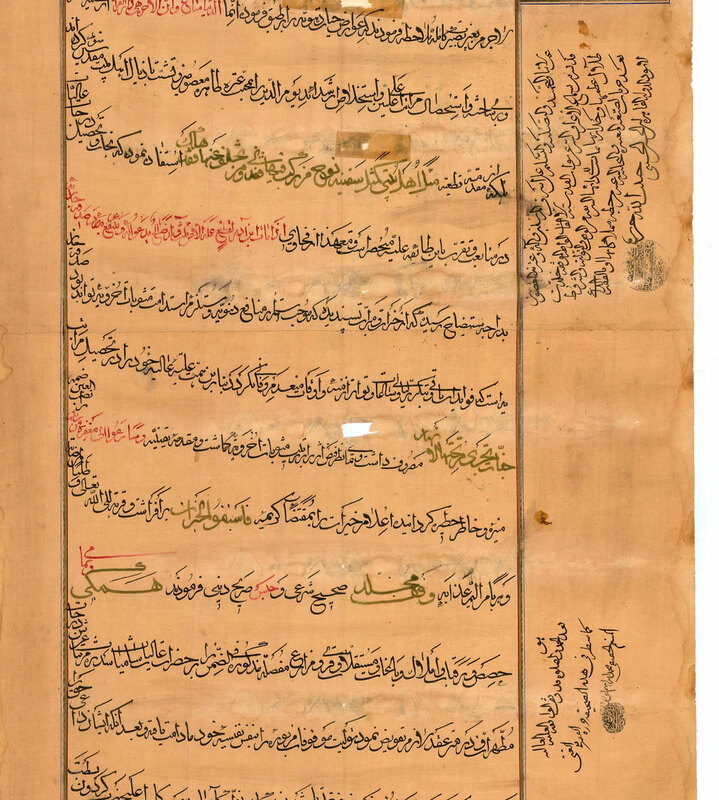 After praise and encomium, it is mentioned that all the properties, estates, farms, orchards and shops which listed on the back of the Will belong to Zeinab Begum , and after her death this belongings must be transferred to the king who is in power at the time. 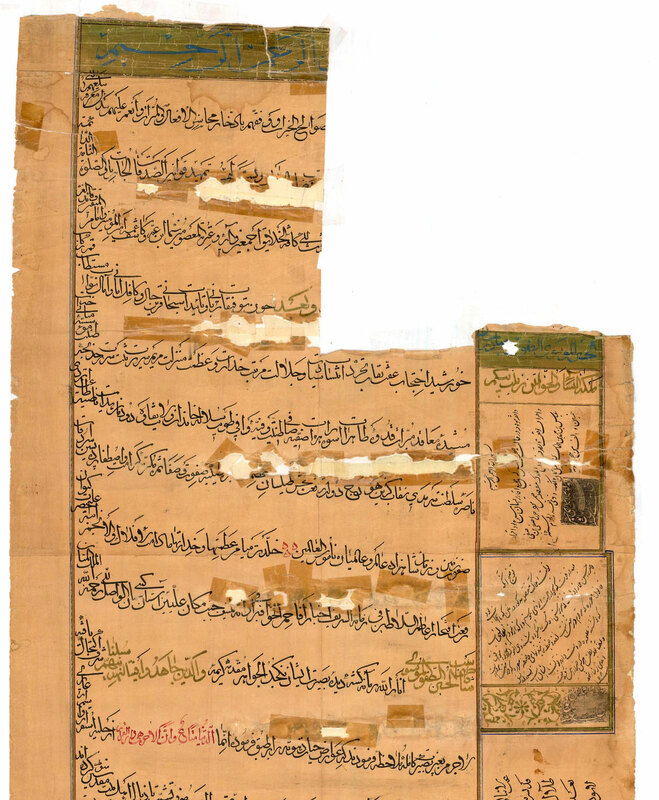 In the back of the paper there is a complete list of the lands and the properties mentioned in the text. 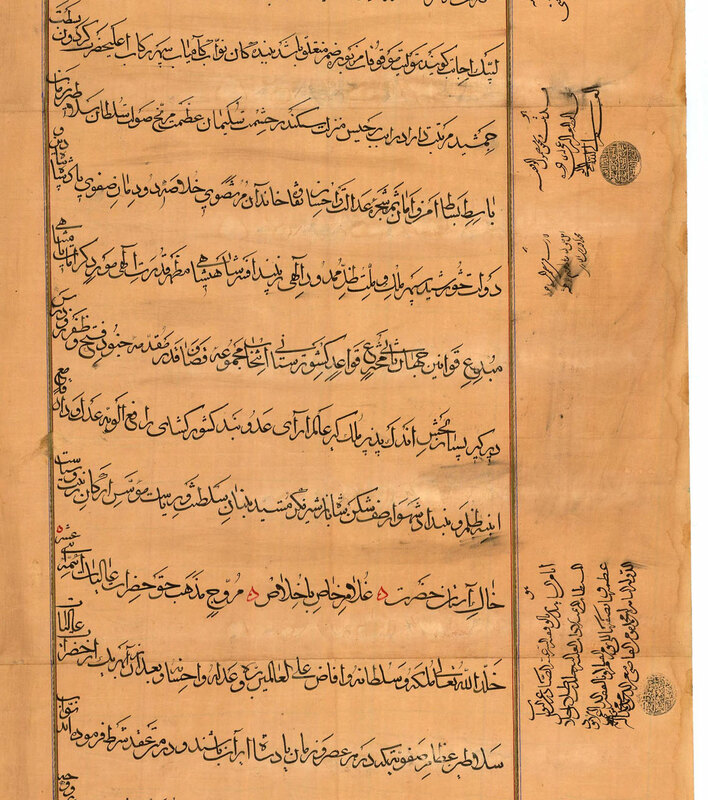 This list has six meters long and is written by calligraphic writing in "Tahriri" script. These estates included main lands and states in many parts of Iran such as: Isfahan Royal palace, Qazvin Royal palace, Yazd, Boroujerd, the whole village of Harian of Roudbar and so on. This listed properties, now costs more than billions dollars. It is mentioned in the text that the income gained by renting the properties should be spent for providing places for homeless and poor people and in return they should pray for the sake of Zeinab Begum after her death. In the right column of the will, the handwritings and the seals of the witnesses who were present at the time of the writing of the will are seen. At the beginning of the lateral column, the name of the King as, "Al-Hosein Al-Mousavi Al-Safavid" is written in azure blue on a background painted with gold. And at the bottom, the name of Zeinab Begum as, “the Queen of all women and all the ladies of the court", is written with gold. The first witness of the will is the King of Iran at the time, who was “King Safi of Safavid” dynasty; his complete name was (Safi son of Safi² son of Abbas³ son of Mohammad⁴ son of Tahmasb⁵⁵ son of Esmael) .The will has been stamped with the king's seal to confirm its accuracy. Since at the time he was the king of Iran, he took all the responsibilities of the estates mentioned in the will after Zeinab Begum's death, and pleaded for transferring them to the following king after his death. At the end of the will it is mentioned that these lands and estates must not be granted, rented or sold to anyone and should not be used as some usages such as stables.